Though many people know that allium family is quite large and diverse perennial onions are still frequently overlooked. Today’s gardeners plant a diverse array of ornamental allium flowers, chives, garlic, and onion varieties but the perennial onion is largely neglected and underrated. These amazing crops have a lot of benefits and deserve a spot in your garden. Little is known about the history of walking onions up until 1790 when they began appearing in records about English and American gardens. Where they originated from is still somewhat a mystery. While some varieties are often referred to as Egyptian onions or Egyptian walking onions they aren’t actually from Egypt. Some believe that this name originated in England as a marketing gimmick. Though no recorded evidence has been found some wild onions that are similar to the walking onion have been found in Asia. Our modern Egyptian walking onion varieties could have been crossed from one of these. 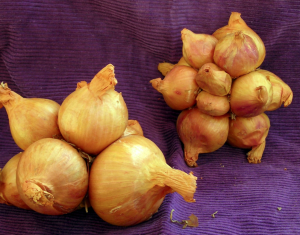 The potato onion is closely related to the shallot. Like the walking onion they aren’t largely referenced until the 1790s when they gain popularity in English and American gardens. 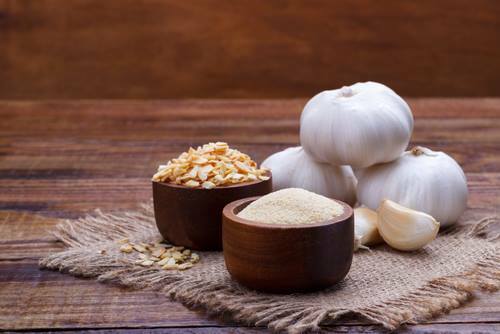 Shallots on the other hand, have been recorded in use for centuries and date back to Roman times. Southern Exposure’s yellow potato onion variety is an heirloom that dates back to prior to 1790. Both the potato and walking onions saw widespread use in colonial America. They were often easy to grow in conditions that were less than ideal and easy to keep year after year. Sadly these perennial onions fell out of favor during the 20th century. 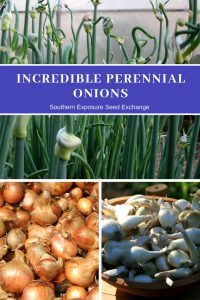 People chose to grow more seed onions as onion seeds and sets became more widely available. They are not as readily bothered by the onion fly as are seed onions. Once you have enough potato onions or shallots you need not buy seeds or sets again. Some types of multiplier onions are in demand as gourmet items in restaurants. Potato onions and many shallots store well, and can withstand subfreezing temperatures in every area of the continental U.S. when properly planted. Perennial onions may be easier for you to grow. While some gardeners find seed onions to be an easy, productive crop others struggle with them. If you’re having a hard time with seed onions perennial onions are worth a shot. 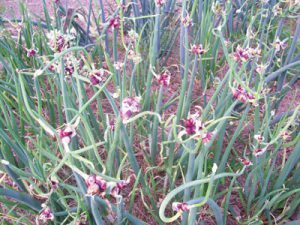 If you’d like to learn more about perennial onions and heirloom garlic a good place to start is the workshop being held at Forest Green Farm in Louisa, VA on September 20th. Central Virginia Master Gardener and owner/worker of Southern Exposure Seed Exchange, Ira Wallace joins forces with Forrest Green Farm owner Krista Rahm for a hands-on event dedicated to learning everything you’ll need to know about adding heirloom garlic and perennial onion varieties to your garden. Participants take home samples and must-try recipes!